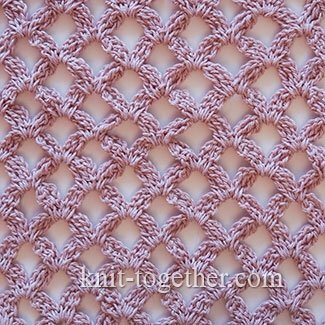 This pattern is made with Bobble Stitches, consisting of two treble crochet. 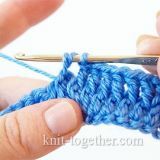 In the description of the pattern we will call them briefly - 2tr bobble. 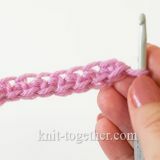 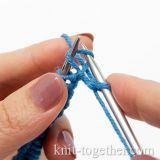 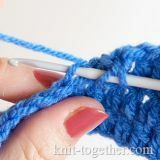 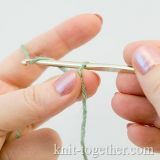 For a swatch make chain stitches a multiple of 5, plus 1 chains for the symmetry of the pattern, plus 4 turning chains. 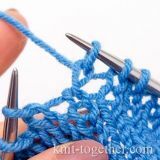 3 row: 4 chains, 2tr bobble in first stitch of previous row, * 2tr bobble in space between bobbles of previous row, 4 chains, 1 slip stitch in same space, 4 chains, 2tr bobble in same space *, 2tr bobble in last loop of previous row, 4 chains in same loop, 1 slip stitch in same loop. 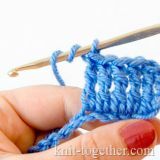 Bobble stitch (2tr bobble). 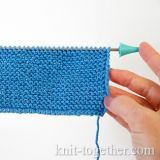 Two treble crchet with one base and common top.